Pallet wraps and bands are reusable alternatives to plastic stretch film. They are made of heavy duty mesh, plastic, canvas, or other materials. 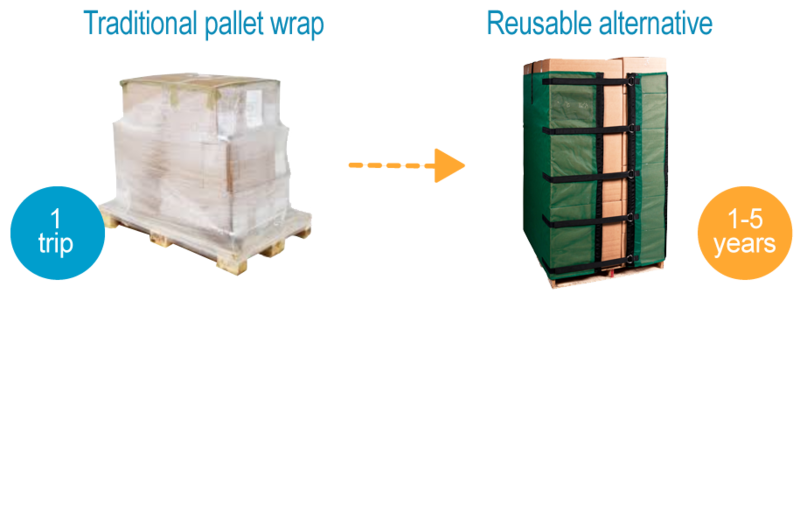 Often easier and quicker to install and remove than plastic stretch film, pallet wraps and bands reduce costs for disposable stretch wrap, labor and disposal. They provide excellent product protection and typically last from 1-5 years. Click here for more success stories featuring reusable pallet wraps and bands.